Home » Wine Tuesday » Wine Tuesday #3: Is it Christmas yet? 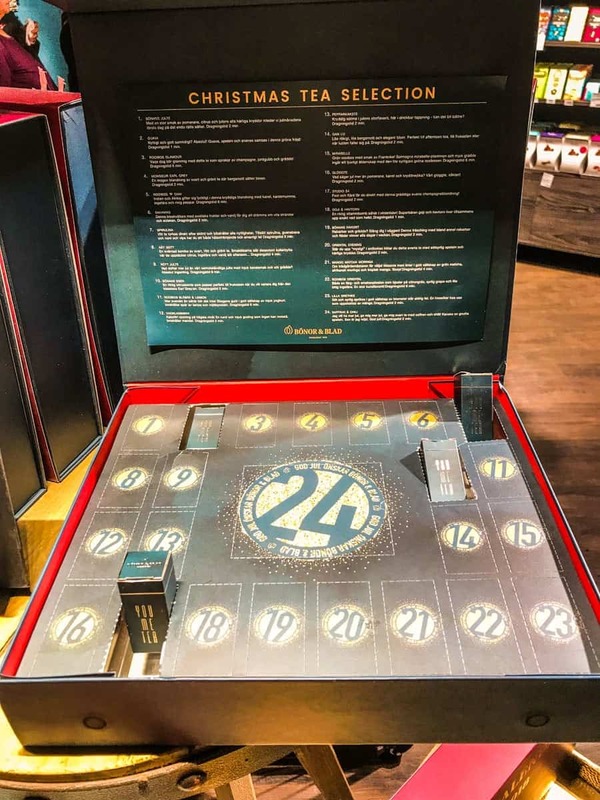 Wine Tuesday #3: Is it Christmas yet? Not sure what this whole Wine Tuesday thing is all about? 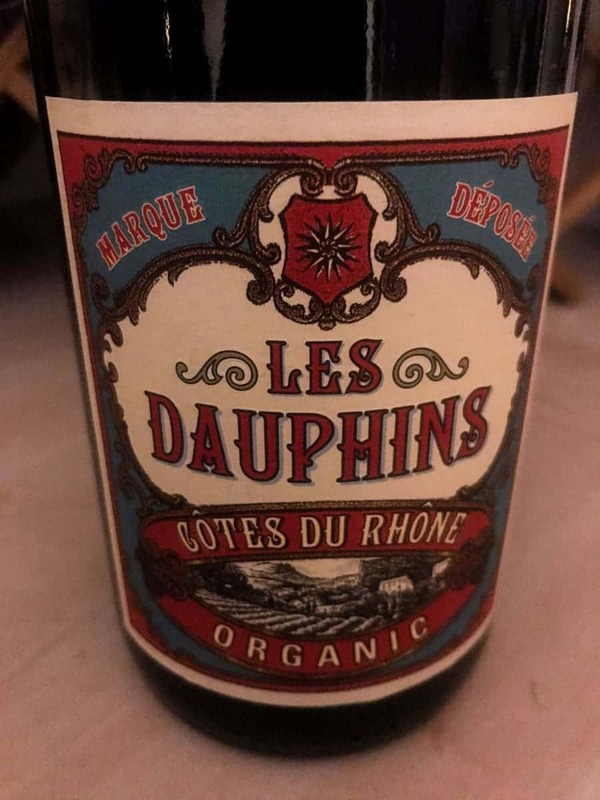 Well, let’s go back to the start – to the origin story of Wine Tuesdays. So I’m back in the game after last week’s teetotaling. It’s been a hectic, but fun, week with brunches and birthday parties and yoga and whatnot. So hectic I’m not even entirely sure what recipes I’m posting this week! Anyway. And, as a bonus, it’s great just on its own. 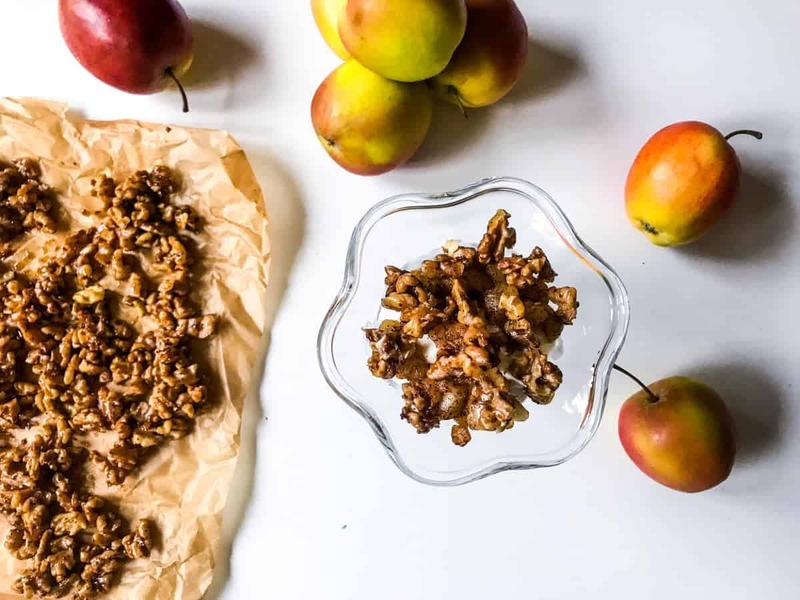 Buttered Cinnamon Apples with Salty Candied Walnuts & Vanilla Ice Cream is the perfect fall dessert, and even those who aren’t that into desserts (like me!) are sure to love it. 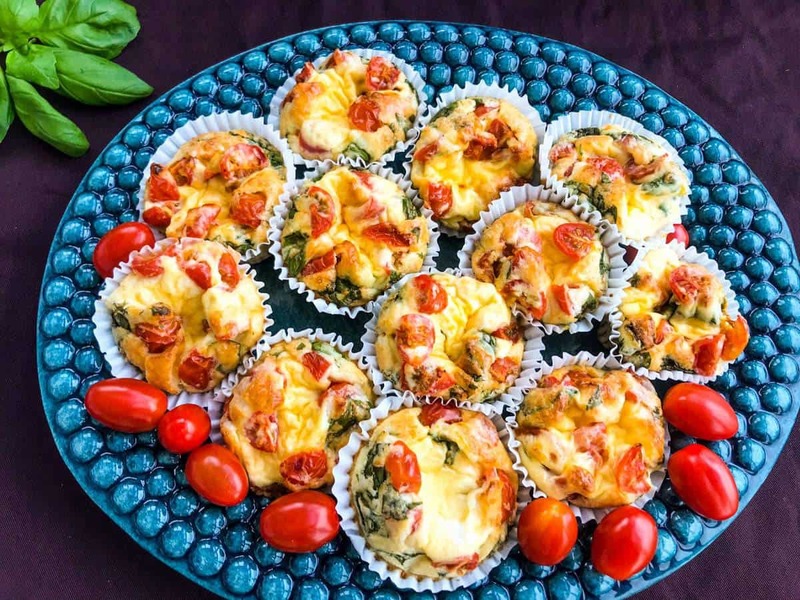 Healthy Vegetarian Greek Breakfast Egg Muffins are a great & delicious go-to for breakfast or a snack. Quick and easy to make and even quicker to grab for breakfast! 15-minute Chicken Teriyaki Stir-fry is my current favorite for when takeout cravings set in. 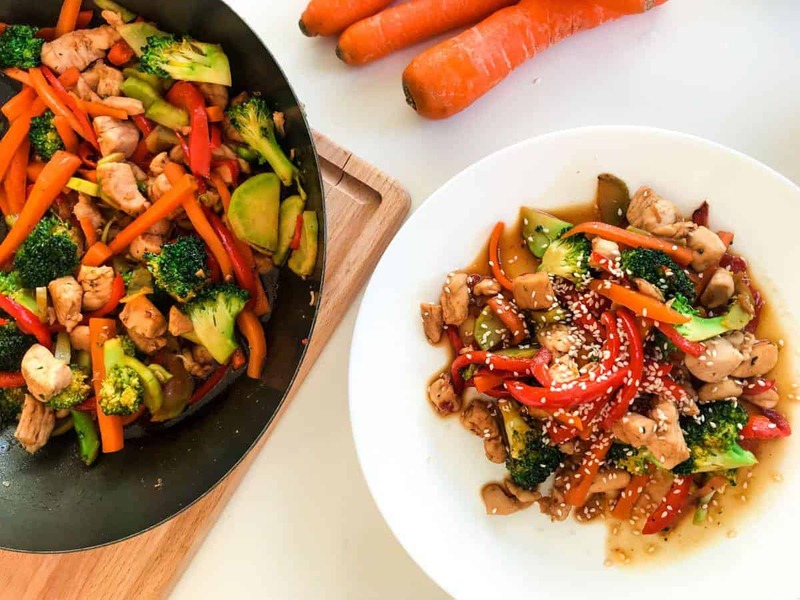 Quick and easy and filled with crisp rainbow veggies, it’s both cheaper and healthier than going for the takeout option. Oh, and far more delicious! First off – remind me to share this recipe with you sometime, OK? Anyway, I have a friend who sometimes invites me over for dinner and these times it’s either me cooking or her serving me leftovers. This time (as most times…) I went for the cooking and ended up with one of my all-time favorites – these tasty and comforting Halloumi sandwiches. 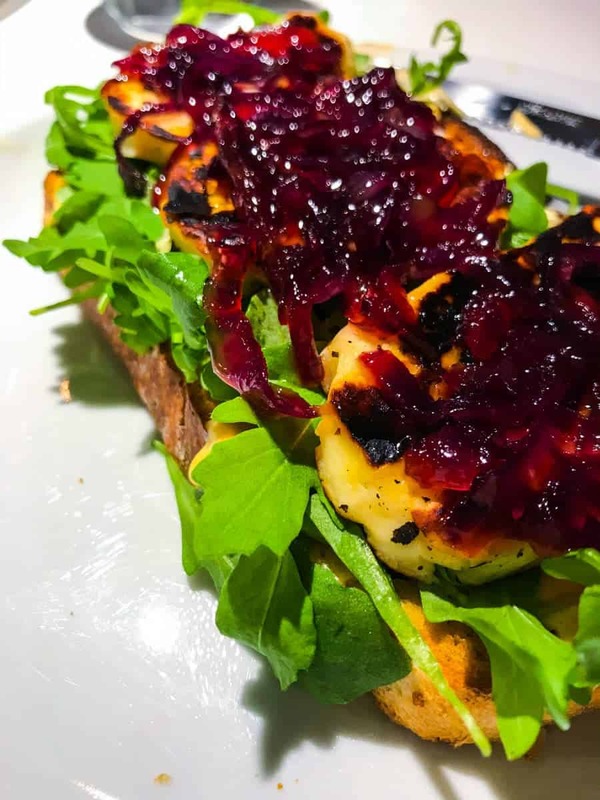 Basically it’s garlic bread slathered in chili berneaise sauce and topped with arugula, halloumi and balsamic caramellized red onion. Nothing fancy, but one of the best meals you can ever have. On a bit of a breakfast muffin high I decided to attempt a sweeter version. Still wanting it to be really good for you I didn’t want to use flour or sugar or anything like that, so I want for oatmeal and apples and greek yoghurt. Let’s just say, it was not a success. Not at all. Took one bite (tasted like cold oatmeal and not in a good way) and decided that this is not the week when I create the perfect sweet breakfast muffin. 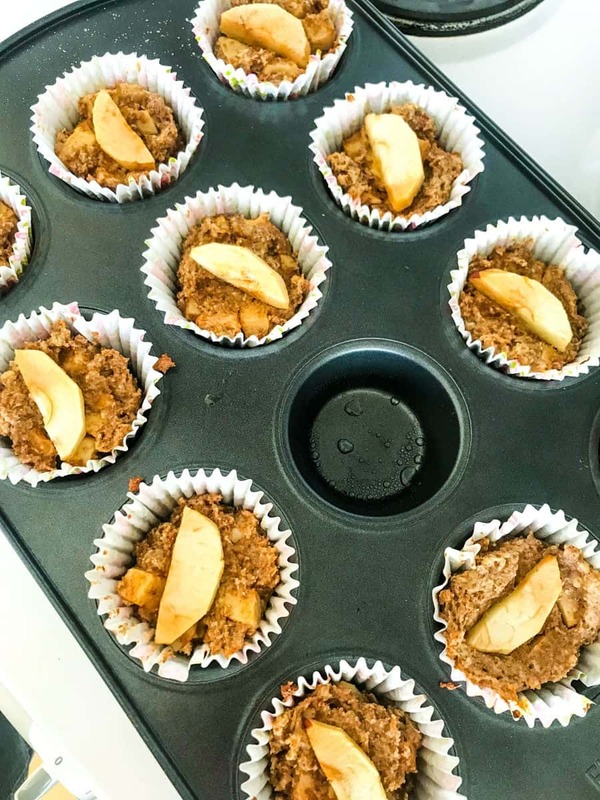 Lucky enough, I had another breakfast muffin recipe up my sleeve for this week, so you won’t be missing out. I know it’s early, but I just can’t wait for Christmas! December, where are you?! Like, look at these cute Candy Cane Hot Cocoa Pops from Boulder Locavore. Definitely trying them out! Planning for my own holiday recipes is also in full swing. Don’t want to reveal too much but let’s just say Gingerbread Cookies and Blue Cheese is one of my favorite combinations and I’m for sure attempting a new twist on this for this year’s holidays! While it’s a bit early for Christmas treats, Chai Latte season is definitely here! You can be sure I’ll be cooking up several batches of my favorite cold weather drink this weekend, and of course I’ll share the recipe with you guys. In other drinks – I wouldn’t say no to this Rosemary Paloma from Mom’s Dinner right about now. Never had a Paloma before, but it sounds all kinds of amazing. Oh, and everything creamy and chicken sits really well with me right now. Like this Creamy Tuscan Chicken with Baby Spinach and Red Pepper from Foodtasia. Definitely making something creamy and chickeny real soon! OK, so my taste in books is quite varied. Right now I start my mornings out with Secrets of Power Negotiating by Roger Dawson. I figure negotiating skills can never be bad, right? Still hung up on Jane The Virgin but now supplementing that kind of drama with another kind in Manifest – always love a good mystery/sci-fi/strange things happening all around show. So as I said I’m not entirely sure what will be coming up this week but this is how it looks from where I’m standing right about now. 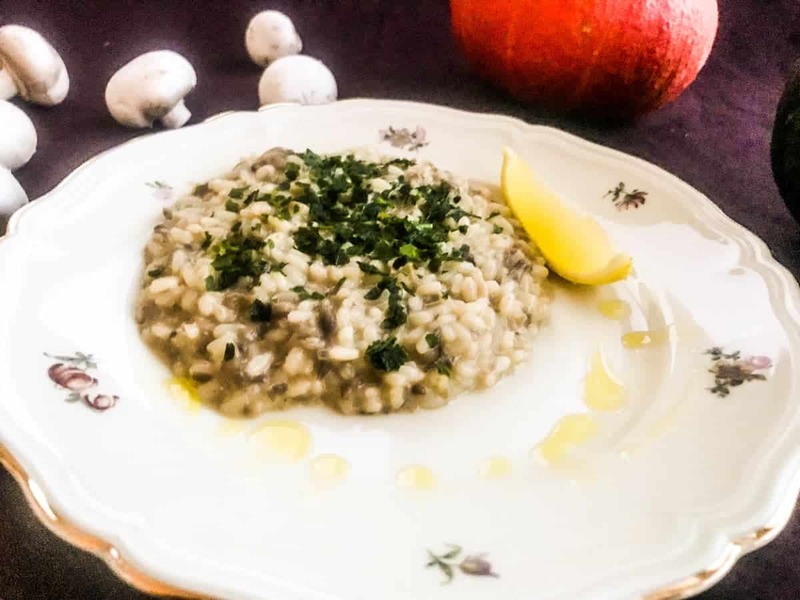 Just in time for the weekend, this Thursday I will share my favorite Truffled Mushroom Risotto recipe. It’s just plain delicious – and delivers 100% of the time (those who know, know). 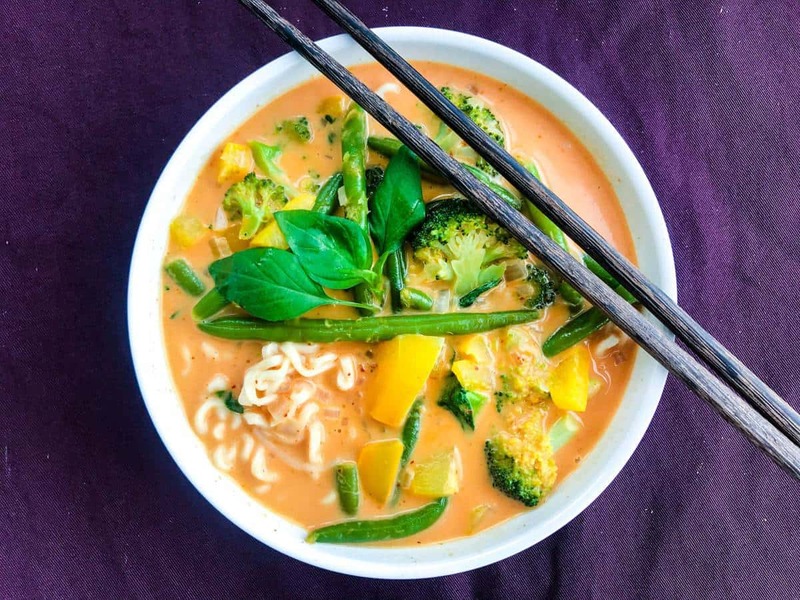 Sunday is a bit more undecided – might share the Thai Red Curry Noodle Soup shown above, but might also switch it out for a Spicy Tortellini Casserole. What do you think? What are you craving most? 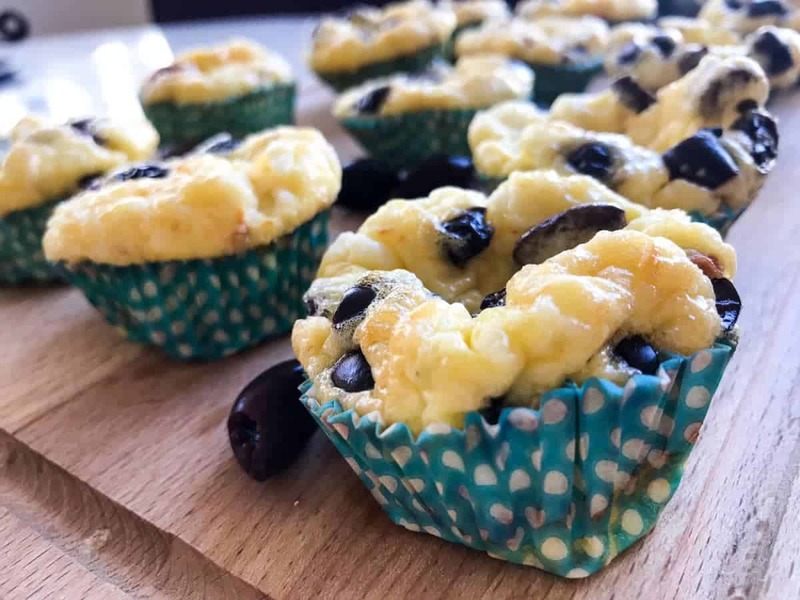 On Monday you will for sure see the second installment of breakfast egg muffins here on the blog – this time in the form of Italian Breakfast Egg Muffins. Yes, there will be parmesan cheese. Make sure not to miss these recipes or any other by subscribing at the top of the page! That’s it for this week’s Wine Tuesday! What do you want me to write about next week? What should I post on Sunday? And most importantly – how’s your Wine Tuesday treating you?